Extending Spaces With A Willingham Orangery. When a Willingham family approached the Cambridge Conservatory Centre for help, they weren’t quite sure how best to create the spaces they needed. With a series of older extensions that had been tacked on over many years, their home just didn’t work. The previous older extensions included a large shed and a glasshouse, which while useful, didn’t give the owners the space they needed. What they wanted was a music room and office that would allow them to keep their living room uncluttered and provide ‘chill out’ space away from the hustle and bustle of a busy family. 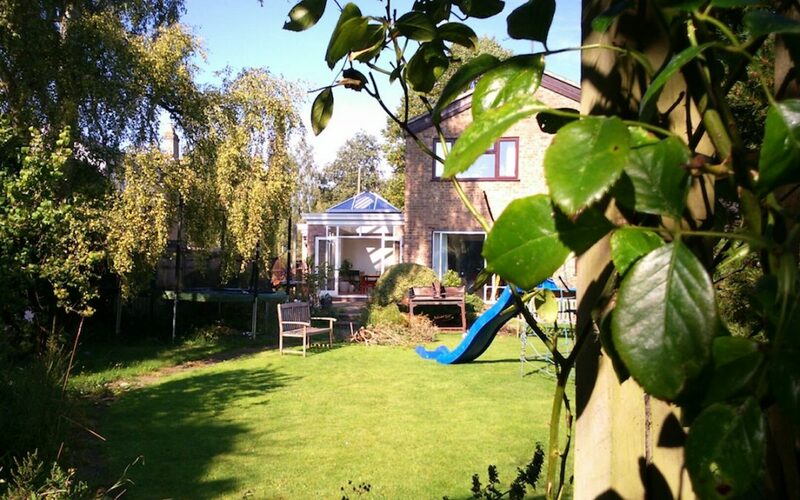 They also wanted a dining room extension that would provide access to the garden. They needed a company who could not only build a new light filled room but who could also renovate the existing spaces they did want to keep. And we were more than happy to help them with that! Redesigning the existing spaces provided the music room and office. The existing flat roof was retained but a new lantern roof was inserted, flooding the room with natural light. 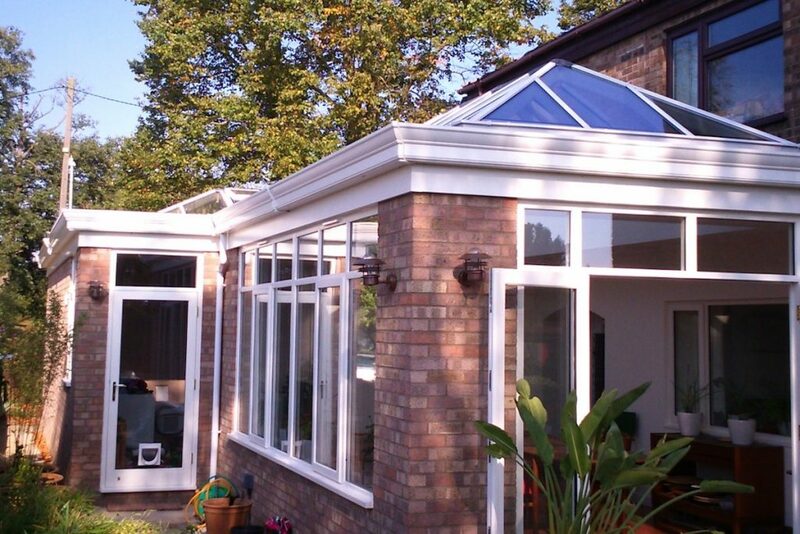 And at the same time, a brand new Orangery was built to give the home and the owners the dining room they wanted. Brick that matches the main house was used to create a base to take a wide six section window and a set of French Doors. Although the existing windows and doors in the house are brown, the owners chose to use white uPVC for the new windows and doors to bring as much light and modernity as possible to their new spaces. The new profile guttering follows the line of the new Willingham Orangery and the line of the existing extension with it’s new lantern roof. 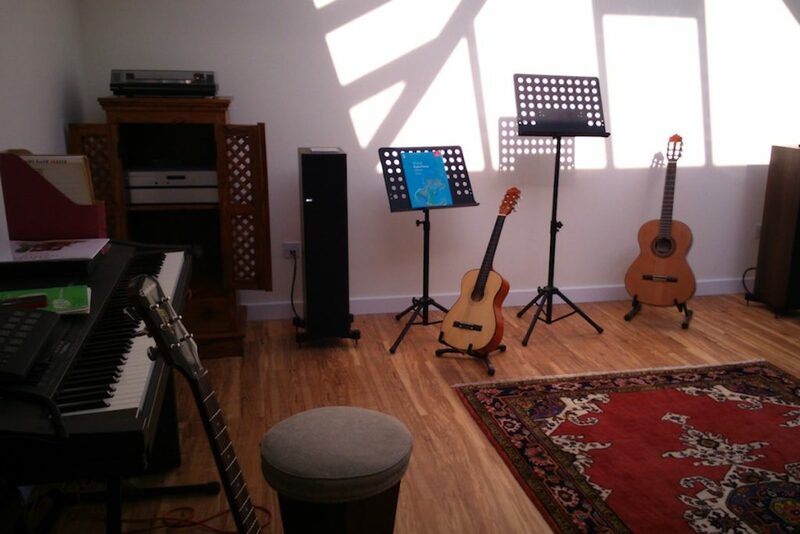 The music room is light and airy and certainly inviting for a jam session. And at the other end of the room, an office space is set up giving the existing extension a dual purpose. And when work and music practice is over for the day, the family can gather together in the new light, bright Willingham Orangery to catch up on the events of the day. Long gone are the disjointed and unusable outbuildings and in their place is essentially two brand new Orangery rooms. Simply stunning!